I’ll take .224 TTSX 55g, .308 TTSX 130g or 162 Amax as an exchange for any of these. You can have the single digits ones for free if you live in Wellington. If you can’t exchange I’m happy to accept cash for any of them. 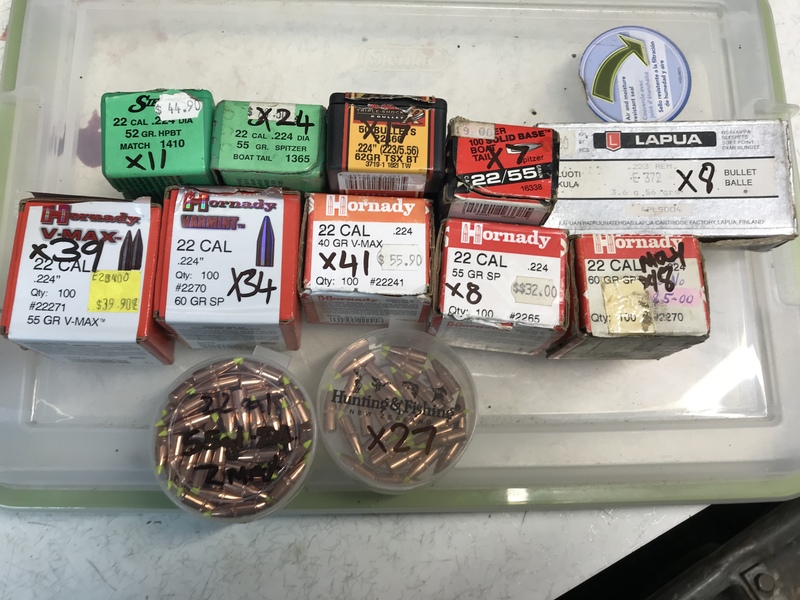 I’ve also heaps of free .223 brass. hi there, im keen on the brass if you are keen to ship it? how much do you have and is it once fired? I will grab the Z Max if they are still available please. They sure are. I’ll PM you bank details. I’m not sure how much postage will be, Chch? I’ll check and get back to you, some are once fired. I’m going to Hawke’s Bay on Wednesday if any one wants anything delivered. hey mate, ill be keen on the 62gr tsx if still available? also you don't have any winchester 223 brass laying around that you would want to sell? pm me a price and can go from there, have some 162gr elm that could swap if you want to give them a try? Did you have any joy on the postage for the z max? All times are GMT +13. The time now is 04:13 AM.